Beautiful home! Great location! Freshly painted! New carpets and newer wood laminate flooring! Updated master bathroom! In other words, MOVE RIGHT IN! This home is ready for its next owner, and offers 4 bedrooms (all up), durable and low-maintenance upgraded wood laminate flooring through main level, and a level, FENCED back yard! Brand new carpeting throughout the rest of the home. The kitchen has great natural light, gas cooking, and a brand new faucet. The owner's suite is welcoming after a long day! The room is large, and the bath features dual sinks in the upgraded vanity, a new tile surround shower with frameless door, and a large walk-in closet! 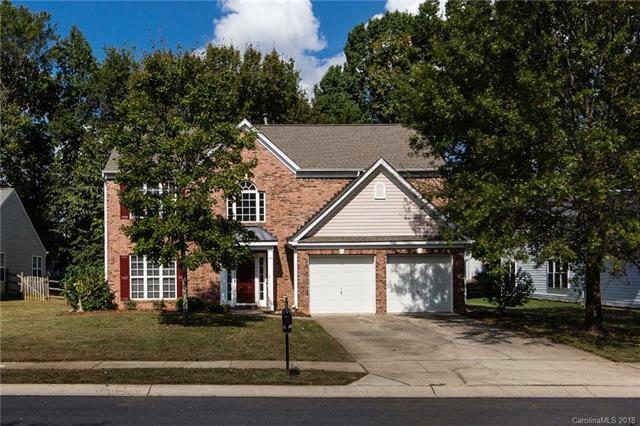 The home is just a quick drive to Lake Wylie Elementary School, to Rivergate Shopping Center, to the Outlet mall, and to Lake Wylie! This is a great, established neighborhood that offers a pool, sidewalks, mature trees, and is so centrally located!